Used primarily for transporting sheet metal and steel plates in the vertical position, as well as lifting and rotating through 180º. Safety locking lever on all models except the 92-500 unit which is equipped with a positive spring-loaded cam. NB: The plate surface of the material must have a hardness level below HRC 30/Brinell 300. 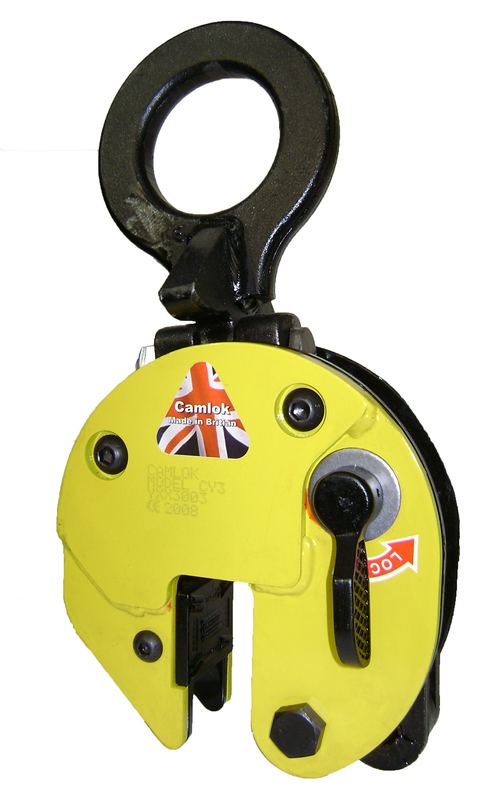 As with the 92-Series, the CZ range of clamps are used primarily for transporting sheet metal and steel plates in the vertical position, as well as lifting and rotating through 180º. Robust welded construction for heavier-duty applications. Used in pairs the CH & HH ranges of horizontal lifting clamps are designed for the transportation of plate bundles as well as single plates with a minimum thickness of 5mm. 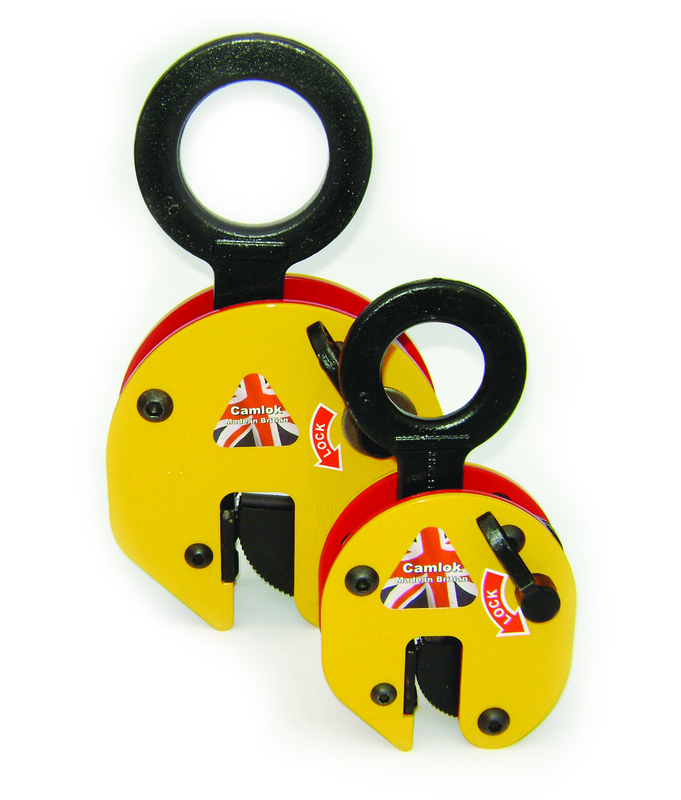 Combined with a two legged chain sling these clamps are suitable for handling small plates, for larger plates it is recommended to use two pairs of clamps in conjunction with a spreader beam. These units have smooth jaws as standard, but are also available with the option of serrated teeth for special applications. 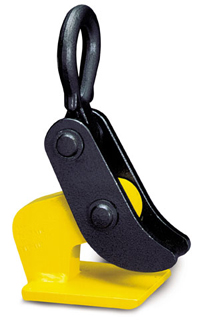 Designed to lift single rails securely and safely, the CR rail clamp is designed to fit most types of rail sections currently in use. The clamp has a narrow profile to enable attachment to an individual rail that is stacked side by side with other rails. Note: Can be supplied with a short drop chain as an optional extra.